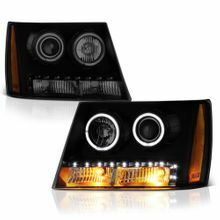 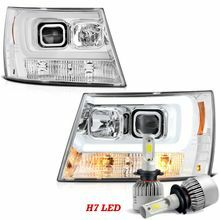 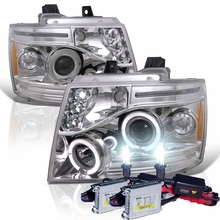 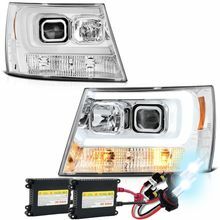 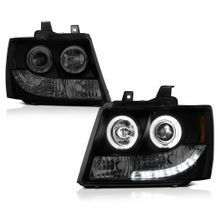 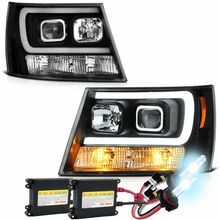 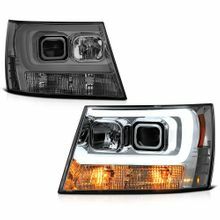 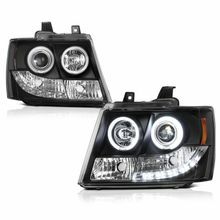 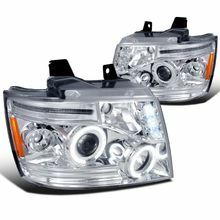 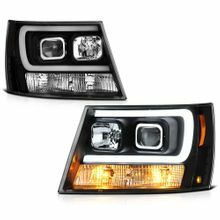 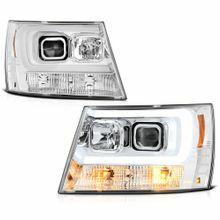 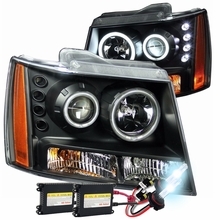 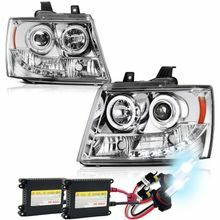 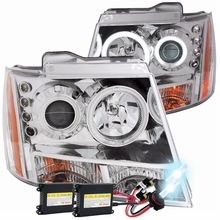 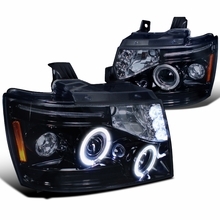 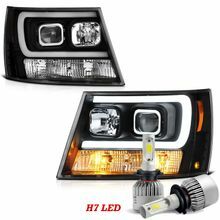 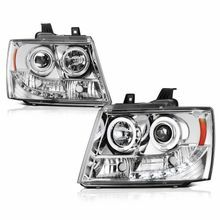 Complete set of angel eye halo projector headlights for 2007-2013 Chevy Suburban. Our headlights feature highly innovative Angel Eye Halo Rings and ultra-bright DRL (Day Time Running Lights) LED. 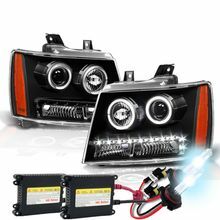 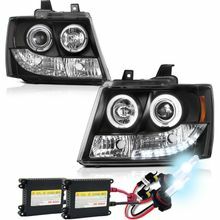 These Angel Eye Halo and DRL LED function as day time running lights and accessory lights. 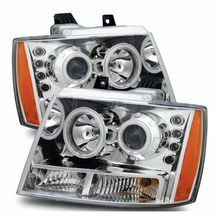 All headlights comes in a pair with both left and right side. 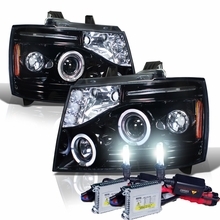 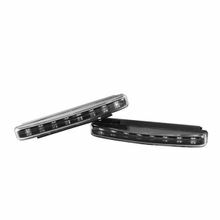 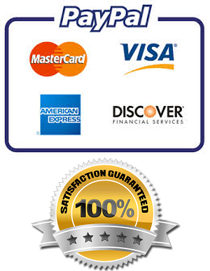 Manufacture by high quality technician which will exceed OEM quality. 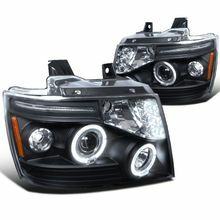 Choose from black or chrome housing for your 07-09 Chevy Suburban today!! 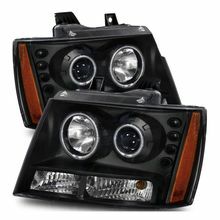 OEM fitment / Factory direct replacement headlights. 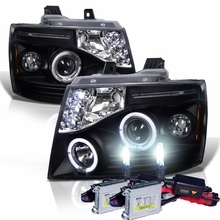 Available with Angel Eye Halo Rings or DRL LED strip.